This series of short videos, produced in collaboration between NOAA's National Geodetic Survey and The COMET Program, a part of UCAR's Community Programs, provides an introduction to geodetic datums for anyone who uses mapping products or other geo-spatial tools. In the first video, "What are Geodetic Datums?" (4:36), explains the basic concepts behind geodetic datums, where they are used, and why it is important to know about and use the correct datums. Analyzing space-time variation is common in Geography. Appropriate geo-spatial visualization enables us to understand data in a precise manner. There have been numerous researches, tools, and methods in pursuit of a better visualization method for geospatial data. Here we present the sets of examples developed by us to show the benefits of the web cartography using Google Earth/Google Maps mashups to display geospatial data. Moreover, we include the practical implication of applications that are useful for visualizing geospatial world. FOSS4G is the global conference for Free and Open Source Software for Geospatial, organized by the Open Source Geospatial Foundation (OSGeo). In 2013, 2013 FOSS4G North America Conference (FOSS4G-NA) will take place May 22-24 at the Marriott City Center in Minneapolis, MN. The gathering of Open Source Geospatial Developers, Users and Leaders from North America will offer a broad program to discuss and build tools to help solve some of the world’s most pressing problems and business needs. This regional event complements the larger FOSS4G International Conference, the leading global conference organized by OSGeo focusing on Free and Open Source Software for Geospatial. 2013 marks the 10 year anniversary of the first MapServer Users Meeting in Minnesota, the immediate predecessor of the FOSS4G Conference Series. foss4g-na 2012 was held on Washington DC. 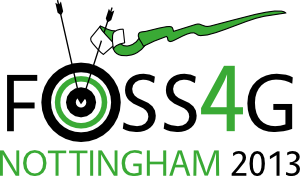 The 2013 FOSS4G International Conference is currently scheduled for September 17-21 in Nottingham, UK. It provides solid guide to how geospatial analysis work, particularly with respect to GIS. The book emphasizes conceptual workflows and with basic math which is helpful for creating own code and also getting an understanding of what's happening under the hood in contemporary GIS. It is better to have an update because lots of changes in GIS software over last five years. This book is for typical GIS user aspiring to design good maps. It is illustrating GIS map software and throughout with map samples in color which is especially useful for those who has little prior training or experience in map making. This is acceptable book for beginners but very little information of advanced users. It hardly touches on advanced cartographic representations. This book explains the computational geometry and algorithms concisely and very readable. It emphasis on describing algorithms and data structures theoretically. It presents pseudo code with lots of figures that is very easy to understand and follow. It's also worth reading for all computer scientists and mathematicians who are working on geometry. This is good text/reference book for graduate course. Focused on geometric computation and algorithm, very complicated for beginners, who does not have prior computer programming knowledge. The various algorithms and concepts often used in this book are triangulation, indexing, calculating intersection, shortest paths etc. The book illustrates the most common cartographic deceptions, and provides some excellent color guides. If you want to learn how to make influential maps for a cause, this is the book!. The reader can learn what to look for and how to avoid the inadvertent or unintentional 'lies'. Worth the effort! Basically, the book as an introduction to the science of cartography and targeted for prospective cartographer or decision making authority. The book details the use of freely available open source mapping software and tools such as MapServer, GDAL, OpenEV, and PostGIS to create web gis and web maps. 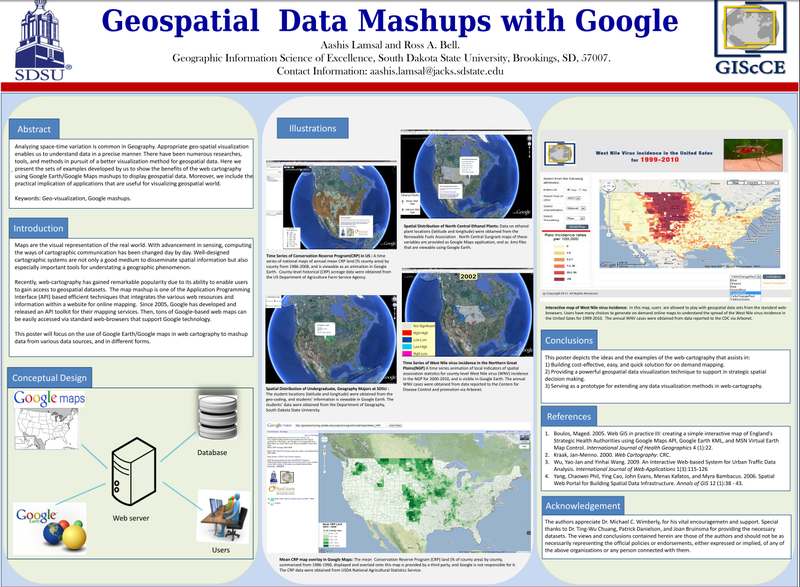 Mostly focused on UMN Mapserver for web mapping and building web gis. Not much technical discussion on how GPS databases work, how to decode GIS information. The book is fairly shallow. It will give you a couple of basic examples of how to use some pieces of software, but for anything more complicated, you have to look elsewhere. Penn state has a nice collection of ArcGIS & Python programming step by step guide for their GEOG 485 students, which is also available for non-students via Penn state website. This course’s is main aim is to make student able to use the Python scripting language to automate GIS tasks in ArcMap, assemble ArcView geoprocessing tools into models to solve GIS problems, and run the tools from scripts to automate GIS tasks. Although no previous programming experience is assumed, the course's target is to make a student as a GIS programmer/analyst in ArcGIS and Python environment. One of my client’s requirements was to create and open source geospatial DBMS to hold utilities and city shape files. As looking through the internet, I found PostGIS is an open source software program that adds support for geographic objects to the PostgreSQL object-relational database. As project reference, I choose PostGIS in Action, as project accomplished successfully I realized my judgment was excellent. Part 1- Nice and slow startup with PostGIS. You can skip this section if you have prior knowledge about any kinds of spatial databases and geometry data types. selection of appropriate indexes and keys for your data. Part 3- Use of PostGIS with other tools and frameworks. It describes manage raster datasets in PostGIS with PostGIS raster module, development of Web applications using PostGIS. The Book will provide the much needed skills in building a spatial database, Application Server, Desktop GIS and Cartographic map renderer, Map tile server and Web map component using the following software: PostGIS/PostgreSQL, GeoServer, Apache/Tomcat, uDIG, Openjump, QGIS, GRASS GIS and Openlayers. Think, how powerful in geospatial technology? Finding Bin Laden using GIS?..........Are you kidding me? .......Take a look on this article from Good politics share the UCLA students' research on finding Bin Laden's possible hideouts using geographical theories and GIS software. The students were work under Prof. Thomas Gillespie and John Agnew, UCLA, were published their findings in MIT International Review(Pdf).